The Southern Political Science Association chose AU School of Public Affairs' (SPA) Karen O'Connor as the recipient of its Diane Blair Award. The biannual award honors political scientists who have played outstanding roles in politics and government at the local, state, national, or international level. O'Connor, the Jonathan N. Helfat Distinguished Professor of Political Science, was presented with the award at a ceremony before 300 colleagues at the association's annual meeting in New Orleans in January. "I was really honored, and it was completely unexpected," said O'Connor. The recognition was particularly meaningful because O'Connor was a close friend of the award's namesake, Diane Blair, who died in 1992. Blair, a professor at the University of Arkansas, was active in politics and friends with many in the political arena, including former President Bill Clinton and former Secretary of State Hillary Clinton. O'Connor is the founding director of SPA's Women & Politics Institute, where she has worked for 22 years. This is her 40th year teaching full time at a university. Prior to AU, O'Connor taught at Emory University. She has both a J.D. and a Ph.D. in political science from the State University of New York at Buffalo. 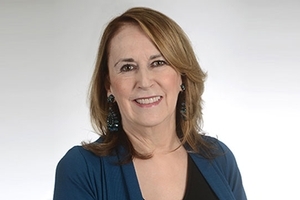 Over the course of her career, O'Connor has been president of the National Capital Area Political Science Association, Southern Political Science Association, and Women's Caucus for Political Science. She has served as editor of several professional journals and is coauthor of "American Politics," a best-selling textbook in the United States, now in preparation for its 14th edition. O'Connor has testified before both House and Senate Judiciary Subcommittees on the Constitution on the issue of reproductive rights, an area in which she has published extensively. She has briefed members of Congress on women's issues, including Title IX. "I continue to love to teach and do research," said O'Connor. "I'm most proud of the students I have mentored who have gone on to do remarkable things." Among her former students, O'Connor counts members of Congress, federal and state judges, leaders of women's rights organizations, chiefs of staff, and campaign managers.